Note: Please call us ahead of time to confirm a staff member will be available to accept your donation. We do not accept any kind of monitors. Contact Fort Collins Recycling to find out the best method to dispose of your monitors. What do you do with all of those computers? We recycle the computers and equipment we receive with IT Liquidators. IT Liquidators values and respects our environment, has a strict zero landfill policy, and handles recycled equipment in a way that preserves the health and safety of those working with the equipment, the general public, and the environment as a whole. Know that your non-remarketable technology has been ethically recycled. Your old equipment will be processed by recyclers who are regularly audited and certified by R2/SERI and e-Stewards, two of the most well-respected recycling certifying organizations in the industry. Where can I recycle my computer and equipment? 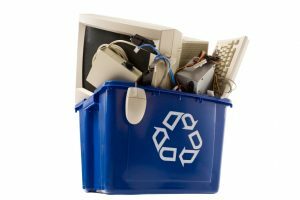 If your computer is too old to donate and/or does not meet the minimum specifications, please consider recycling them at the City of Fort Collins Electronics Recycling Center.